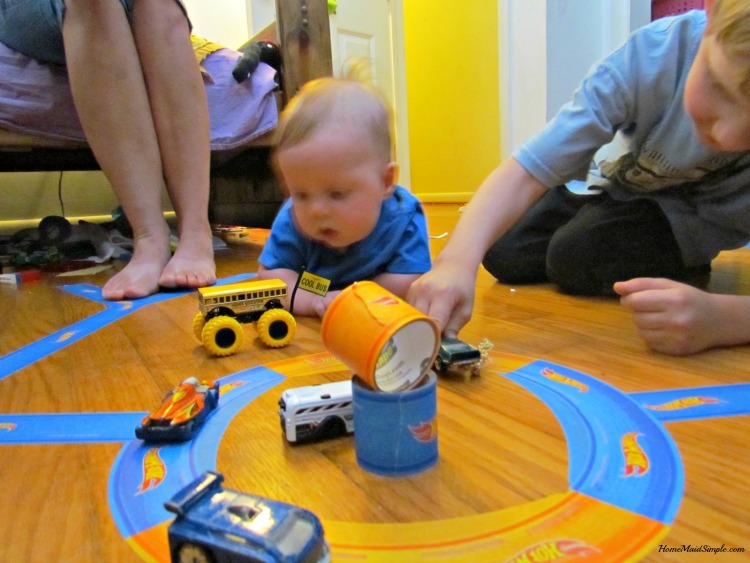 Do you have a kid who loves driving their Hot Wheels® cars all over the house? 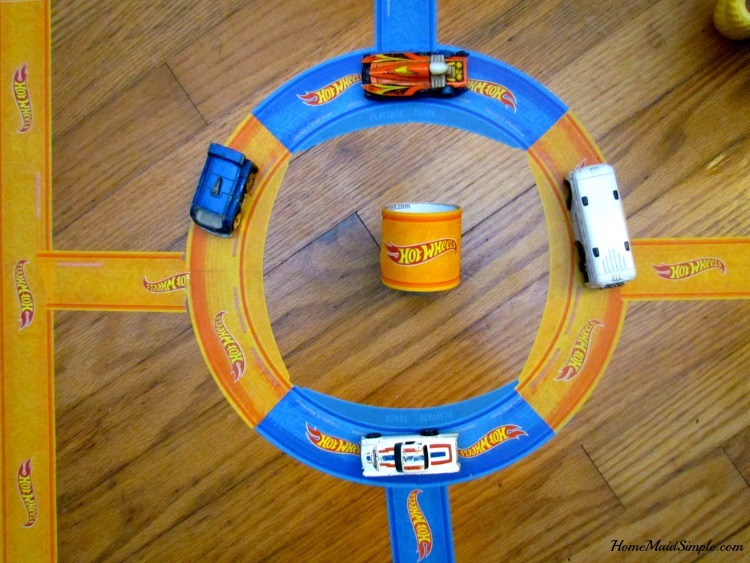 InRoad toys has just the thing for you with their PlayTape®! I received a product in exchange for a review. This post may contain affiliate links and I will receive compensation if you click on and purchase. When I showed Lincoln the PlayTape® it took all the patience he could muster to not tear into these packages before Dad got home to play with him. 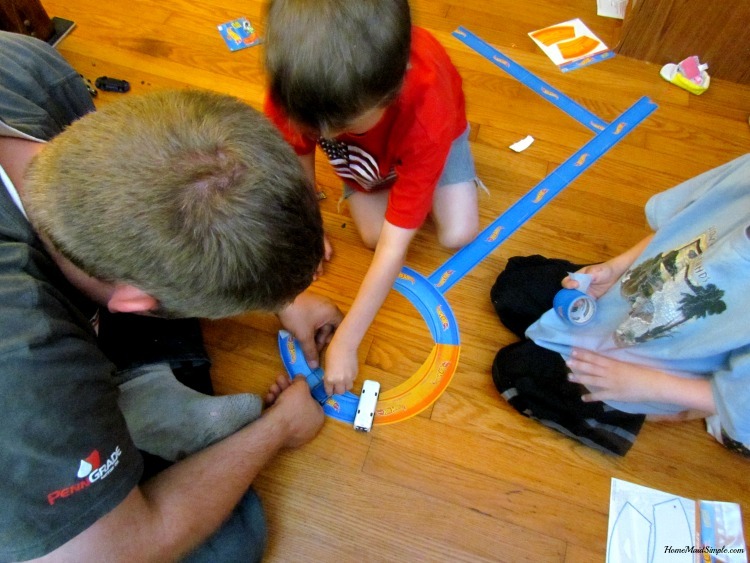 Once Dad was home, though, all other things to do were put on hold for a fun time of track building and car racing. Since we live in what’s been dubbed “Roundabout City, USA” we just had to make our own roundabout with the PlayTape® curves. I mean really, with over 100 roundabouts in our little city, it only made sense to include them in our day by day play. When we go on vacation the kids get really excited to find another roundabout since they are less common anywhere else. We’re no strangers to putting tape on our floor to enhance our indoor playtime, but PlayTape® has added the designs that make it that much more fun. With 2 boys in the house now, I know we’ll be using this a lot. While Harold is still too young to appreciate it, Lincoln was not shy about trying to include his brother in some Hot Wheels races. I’m seriously just so stoked about this PlayTape® and the excitement it’s brought back to our car bucket. I’ve seen the cars played with more in the last week than I have in the past 5 years. I wouldn’t be surprised if some more tape shows up in some Christmas Stockings this year. 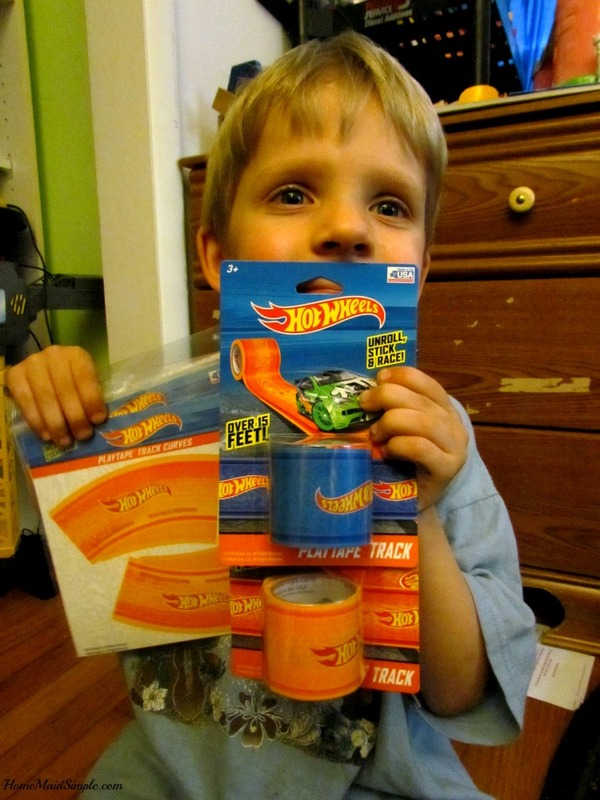 Besides the Orange and Blue HotWheels® tape, InRoad Toys also has classic road tape in black, red, and blue. They have the feel of painters tape, and won’t leave a sticky mess when you peel them off. Could a Mom’s dream be any more fulfilled?